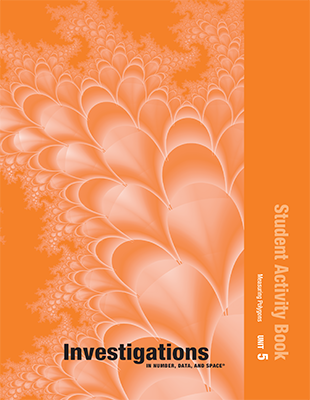 Investigations in Number, Data, and Space; 2nd Ed (©2008) components for Grade 5. 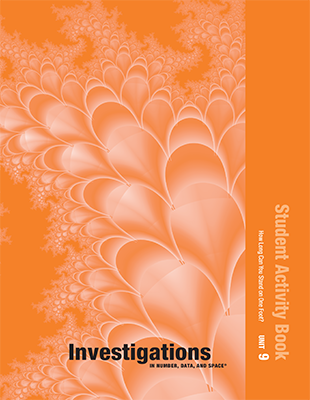 This grade-level package includes all Curriculum Units (Teacher’s Editions), the Implementing Investigations guide, and the Resources Binder with blackline masters, transparencies, and CD-ROMs. Teach, assess, and manage from these easy-to-use Teacher’s Editions that include 9 units per grade. 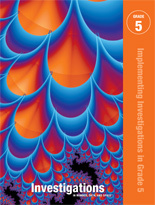 These practical grade-level guides help teachers get started with the program and provide useful, ongoing support information. Also included in every Core Curriculum Package. Our handy binder includes resource masters, transparencies, and CD-ROMs of the software and blackline masters. Print out lesson resources quickly and easily and whenever you need them. This electronic collection of all the resource masters and transparencies in Investigations makes planning and teaching go smoothly. Students can freely explore the properties of geometric figures with this easy-to-use software. The activities help students identify and think about geometric concepts. A variety of student materials foster active investigation as students develop and apply their mathematical ideas. 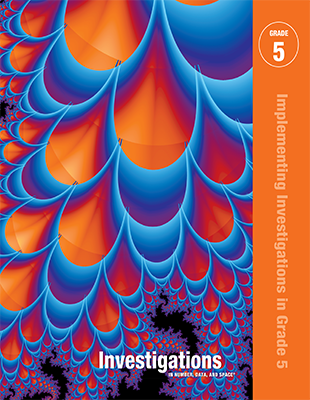 Each grade-level kit includes all of the manipulatives needed for the Investigations program. Kits accomodate 32 students in Grades 3–5. For your bilingual classes, present vocabulary and teacher dialogue in Spanish. 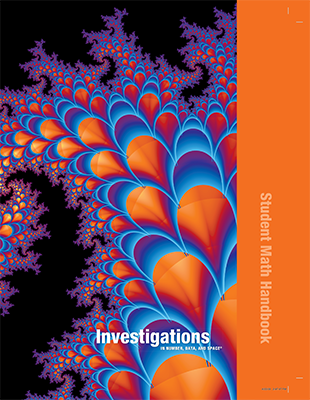 Engage students in their learning with a textbook that highlights major mathematical words and ideas and provides math game directions. Also available as a flip chart for Grades K–2 and online for Grades K–5. Provide students with a journal of their mathematical work with a consumable workbook. Includes activity sheets, math games, homework, and daily practice pages. 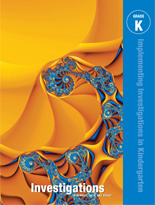 Available as a single volume or by unit. Ideal for use in the classroom or at home to augment learning. Each grade-level package includes the cards found in the program’s games and activities. The cards are also available as individual sets. Includes access to downloadable student software, Resource Masters, Online Activities, the Online Lesson Planner, and more classroom resources. In English and Spanish. This online resource provides access to math words, ideas, and games, as well as the Shapes and LogoPaths student software. Available in Spanish. Create customized tests and worksheets easily in English and Spanish. ExamView lets you format assessment materials to state and national tests; incorporate pictures, graphs, sound bites, and even movies into educational materials; administer tests on a computer with immediate feedback; print multiple paper versions of tests; and more.